No, not REALLY! My cat did NOT fall in the well. That is the name of a neato song by a group that came out of the 70's called The Manhattan Transfer. This stupendous quartet of singers were (and still are) famous for "Java Jive," "Route 66," "Birdland" and many other jazz tunes. I came upon this song when searching for something else and couldn't resist it---being the cat lover that I am. So, I hope you will be able to hear it! It sounds like something out of the WWII era, but the words are so cute! Besides, I can't seem to get this tune out of my head! Since I can't figure out how to get my own music on this blog yet, you'll have to check it out on my Can't Get That Song Out of the Head blog on Windows Live...see the link to the right...The song will come on immediately! I've found a nice little program for music here on BlogSpot called MixPod. I also have a nice site to host my own music to put it on my page. I know that not everyone is a fan of my music but be that as it may I figure I'll rock till the day I die LOL! 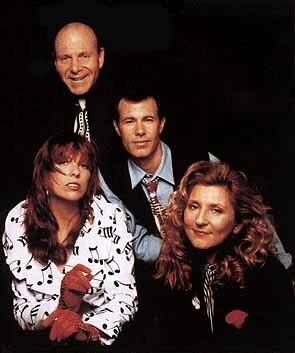 I remember the Manhattan Transfer. I'm with Joe; rock & roll will never die!